Books about life at the IITs / IIMs seem to be much in demand these days. It all started with Chetan Bhagat’s Five Point Someone about life at IIT Delhi. The next one in line was Abhijit Bhaduri’s Mediocre but Arrogant about MBA days – both touted to have been ‘inspired’ by the legendary Snapshots from Hell. These were followed by other such titles that dominated the shelf – like Anything for you Ma’m and Keep Off the Grass by Karan Bajaj (an IIMB Alumnus, an ex-BIT Mesra alumnus and now a friend whose inputs I value! :)). 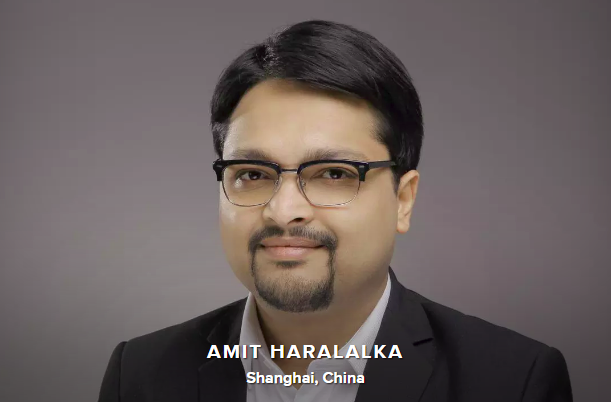 One book that is also a little special is Joker in the Pack – co-authored by Ritesh Sharma (IIML, 2005) and Neeraj Pahlajani (IIMB, 2006) – both of whom are currently working with American Express Bank. 1. The aspirants – who want to make it to India’s top B-Schools – since it provides a ringside view of the life inside. 2. The alumni – who can dive back and go through some of these images to recreate those of their own. I personally did not find it very appealing because the instances mentioned are “daily ka taam-jhaam” (everyday hassles) for most of us studying at an Indian B-school, particularly the IIMs. 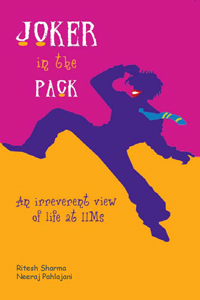 The book talks about the life of Shekhar Sharma (a middle-class-boy-next-door-who-has-made-it-big-now-after-making-it-to-IIM) and his escapades in 2 years. What I found particularly noticable in the book are the fact that it has a slight over-emphasis on the whole placement process – summer placements as well as final placements. Life at a B-school has a lot more and there were lots of other snippets that could have made the book more colourful. Having said that, it is the placements that get all the attention, the hype and bring the IIMs their glory – so one can’t really blame the authors for focusing their lenses there. (** EDIT: Incidentally, I was reading the book while the final placements for the seniors was on and we were in one of the “tents” in one of the placement 3 support teams).